If you’ve been homeschooling for any length of time, there’s a good chance you’ve heard the name Charlotte Mason. An educator at the turn of the 20th century, her writings are still valuable today. Our own homeschool has been influenced by her thoughts on things like living books, habit training, and nature study. 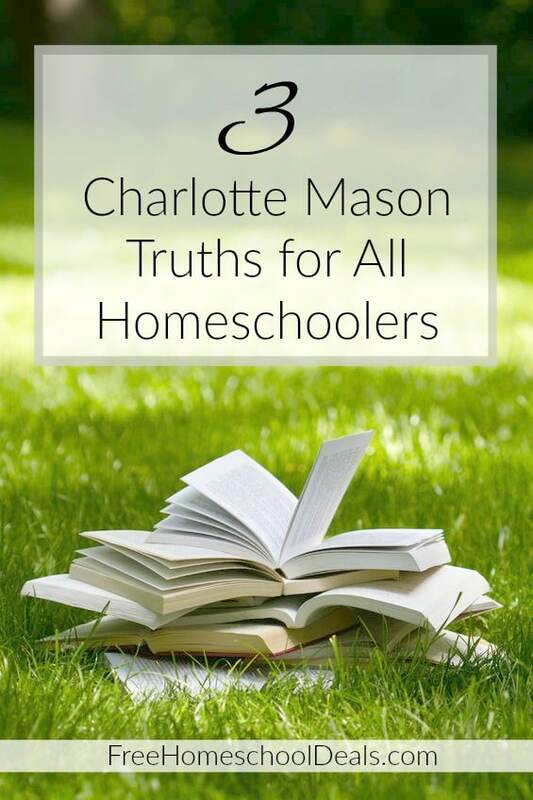 Regardless of your homeschooling style or methods, I believe there are things that all homeschoolers can learn from Charlotte Mason. As many of us are wrapping up our current school year and planning out the next, I wanted to share three truths from Charlotte Mason to encourage each of us in this wonderful, but often challenging homeschool journey. Education is not meant to be a one-size fits all endeavor. Education is more than receiving grades. Education reaches beyond the memorization of facts. These are just a few of the truths Charlotte Mason wrote years ago that are still true today. I highly recommend reading some of her work for more encouragement and inspiration. Does your homeschool follow a Charlotte Mason education? Have you been thinking about incorporating some of her principles?